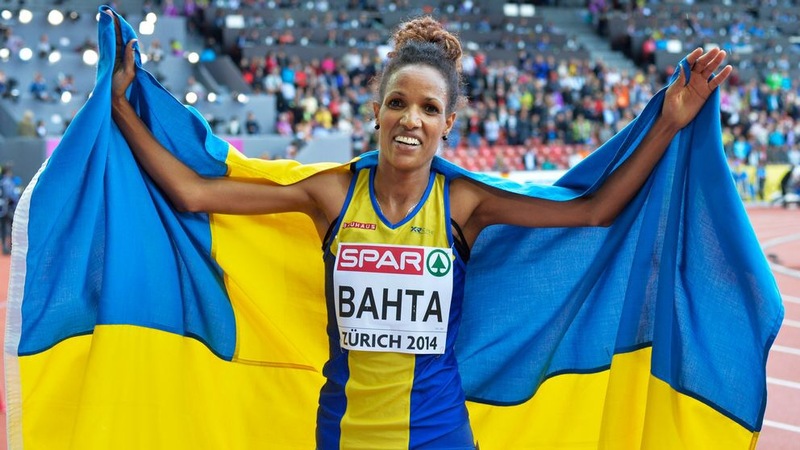 In the Swedish town of Östersund, the World Championships in biathlon is currently taking place. For the uninitiated of you, the biathlon is a winter sport that combines cross-country skiing and rifle shooting. In Swedish, it is called ‘skidskytte’ – literally ‘ski shooting’. The sport is a race where the contestant with the shortest total time wins. Depending on the competition, missed shots result in extra distance or time being added to the contestant’s total. The biathlon is an example of a hybrid sport – one which combines two or more sports in order to create a new sport. Waterpolo, which combines swimming and handball, is another example. Biathlon is the king of the hybrids as it is the only one to be recognised as an Olympic sport. Bossaball – combines the many elements of volleyball, football, gymnastics and the Brazilian martial art Capoeira. Strangely, it is played on an inflatable field with 2 trampolines at each side of the net. These allow players per side to bounce high to spike or touch the ball. Chess boxing – weirdly combines the sport of boxing with games of chess in alternating rounds. Chess boxing fights have been organized since early 2003. Darchery – combines darts and archery, using crossbows and arrows typically used for archery, but the target is a dart board. Footgolf – combines football with golf. Players kick a football into large holes placed around a golf course. Headis – combines table tennis and football. Players use their heads to hit a football across the table tennis table and net. Sounds exhausting. Kronum – combines handball, football, basketball and rugby played on a circular field with four goals at each end. Octopush – combines swimming, diving and hockey. Players try to push around a hockey puck at the bottom of a swimming pool. The goal is to shoot the puck with a small, curved piece of wood into the opposing team’s goal. Do you play any of these sports? Or do you play another hybrid sport? Let me know! 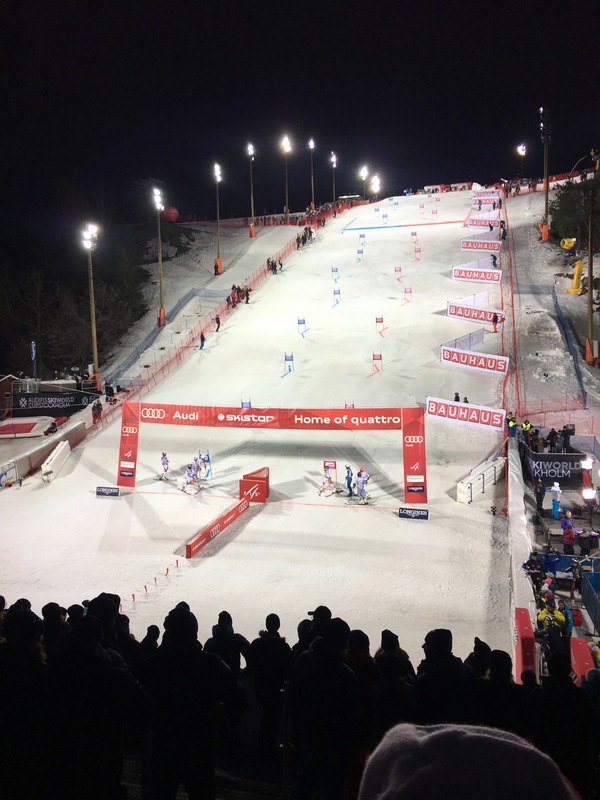 Tonight the skiing World Cup came to Sweden where, in Stockholm, elite skiers competed in parallel slalom. It was fun to be there, on the packed stands and see all the Swedish flags waving as Swedish skiers Hargin and Hansdotter competed. The competition took place on Hammarbybacken, which is a ski slope in the city. Hammarbybacken is a man-made ski resort built from rubble and refuse, towering in the southern part of Stockholm city. Building commenced in the 1950’s and finished in 1990. At 93.5 meters high, it’s a popular weekend destination for outdoorsy Stockholmers. And tonight, there were around 8000 of them there, cheering and shouting into the cold January night. The Swedish skiers didn’t win. But the spectators left the event having witnessed a fantastic winter sport event in their very own capital city.